From our enjoyable Life Size Replicas Collection we present an impressive 2 Foot waiter butler statue with serving tray. This gorgeous beauty is part of a collection of hand crafted statue replicas. It is sure to be a perfect piece to add to any collection. It is fully functional and can be used to hold drinks or party appetizers. 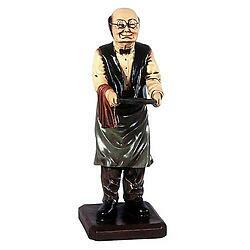 This waiter statue is used in many establishments and occasions. It is used as part of home decor, restaurant decor, bar decor, club decor, retails store decor, special events decoration, home kitchen decor, media room decor, game room decor, hotel decor, commercial businesses decor and as a wonderful gift idea to give to that special one on any special occasion. It is sure to attract crowd's attention and is a wonderful conversation piece. This collectible figurine is made from durable materials using cast resin mold mixed with fiberglass. It is hand painted to the highest detail by professional artisans whose skills have been passed down to them for generations. 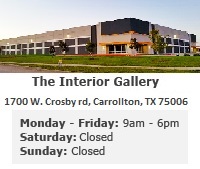 Dimensions: 9.00" X 13.00" X 26.00"